A healthy, happy workplace is good for business and for staff. Studies have shown that the benefits can be seen in the bottom line, as well as in absence rates, staff turnover and employee engagement. But in busy workplaces and demanding roles, we can easily lose sight of our own wellbeing – and that of others – in the race to meet client deadlines and achieve targets. And when pressure tips over into stress, both our immediate and long-term wellbeing and productivity will suffer. This workshop provides managers with the knowledge they need to monitor wellbeing in their teams and themselves more effectively, and to recognise and respond to the warning signs of stress as early as possible. Based in the real-world rather than the ideal world, it focuses on practical ways to build physical and emotional wellbeing, and provides a toolkit of healthy habits and useful techniques to help boost physical and emotional wellbeing both inside and outside work. What do we mean by wellbeing and work-life balance? Achieving a realistic work-life balance – what can you do and how can you help others? The skills and self-awareness to understand and manage personal wellbeing are relevant to everyone, whatever their position within your organisation. However, this programme has been designed to specifically address the needs of managers, who need to pay attention to the wellbeing of others, as well as themselves. 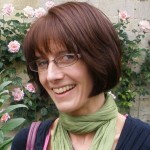 Kate Jennings is a highly experienced leadership development consultant and coach, as well as a qualified counsellor. She has facilitated large-scale development programmes for a wide range of local and national organisations. Kate’s background is in the food industry, where for many years she led teams working with clients such as M&S, Tesco, Sainsbury’s and Waitrose. Building on this experience she has spent 15 years working with executives and staff teams for some of the UK’s most well-known organisations. Kate works across private, public and voluntary sectors, with clients in the UK, Europe and USA. We understand that your professional development doesn’t end when you walk out of the classroom. The time you’ve put in will only make a real impact if your learning is carried into the way you work. That’s why we offer post-course support in implementing your new skills, for as long as required. Your trainer is available to discuss problems, provide advice or offer feedback until you feel confident on your own. This course also includes access to an ‘e-learning pinboard’, a password protected webpage where your trainer has posted articles, videos, interviews and other useful tools around wellbeing at work for you to draw on for inspiration and ideas going forward. If you have any questions or if you would like to speak to Kate or one of our other trainers about how this course could work for your organisation please get in touch. We can deliver the course at your offices, anywhere in the UK – and beyond.